I am needing to add some functionality to a chart and am trying to figure out how display it in the grid--so I looked for a demo that showed all of the TChart's functionality. The only VCL demo I see is one with "new features". Is there a more comprehensive demo? Or does the new feature demo have most everything? Okay, I now see the new feature demo does include all features. Where do I find it with the source code? I logged into my account but do not see it. The notice a the top says "Sorry, we had to truncate this directory to 1,000 files. 333 entries were omitted from the list." Can I get all the files somewhere? Would be nice if there was just a ZIP file somewhere. Also, I guess I can spend some time figuring this out myself but some simple instructions would save time. You can navigate one folder up and find the geen "Clone or Download" button at the right side of the GitHub page. 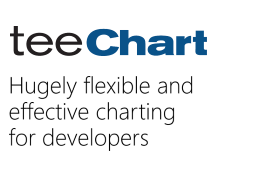 This will let you download a file named "TeeChart-VCL-samples-master.zip". You can extract the "TeeChart-VCL-samples-master\TeeNew" folder from it to get the latest sources of the New Features demo.